Hutches and cabinets can be a huge focal point in any room. At Home Xpressions, we believe customizing your furniture to meet your personal style needs is a priority. Our designers can help you fill each and every space appropriately. 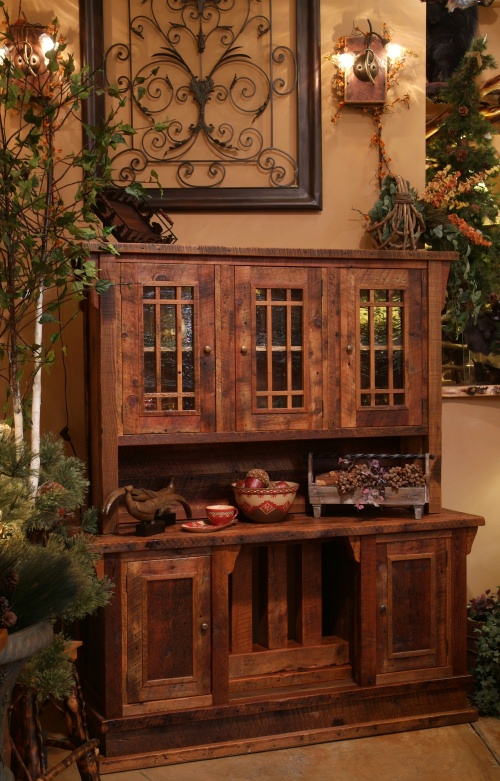 Choose from many styles of hutches and cabinets in just the venue you prefer. Show off your treasures safely and in style. Home Xpressions is a leader in Barnwood Furniture. Please visit our Barnwood Furniture page for more details on hutches and cabinets available in our Barnwood Collection.